The holidays can be a particularly grim time to lose your job and get no severance pay. Just ask the employees of bankrupt toy retailer Toys 'R' Us. But now, KKR and Bain Capital, two hedge funds that are liquidating the company, have had a change of mind and are establishing a $20 million fund to pay many of the employees who have lost their jobs. Under bankruptcy law, the owners of Toys 'R' Us assets are not required to offer severance packages. Their decision, announced in a joint statement, follows growing public pressure from former employees and members of Congress. 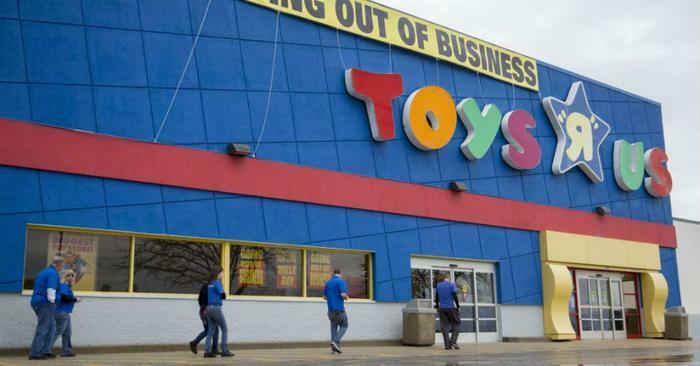 The two companies are establishing the TRU Financial Assistance Fund they say will pay "certain" former Toys 'R' Us employees who lost their jobs as a result of the liquidation. KKR and Bain Capital are each putting up $10 million. They have retained the services of Kenneth Feinberg and Camille Biros, whose experience in administering these types of payments include the 9/11 Fund, BP Oil Spill Fund, GM Ignition Switch Compensation Fund, OneFund Boston, and the OneOrlando Fund. Biros said the fund will be governed by a transparent, straightforward and simple process designed to offer financial relief. She said she expects affected Toys R Us employees to have input. Money will be awarded to eligible employees based on hours worked, historic earnings, and tenure. To become eligible employees must have worked at Toys 'R' Us for at least a year and earned no more than $110,000 and no less than $5,000 per year. In their joint statement, the two hedge funds said they had been Toys 'R' Us shareholders for 12 years and had advocated "for a very different outcome than what occurred." They said their voluntary move to establish the severance fund was a reaction to what they called "an extraordinary set of circumstances."